Pregnancy is a short period of time so it is understandable that most women don’t want to spend a fortune on clothes. However you still want to look and feel beautiful! 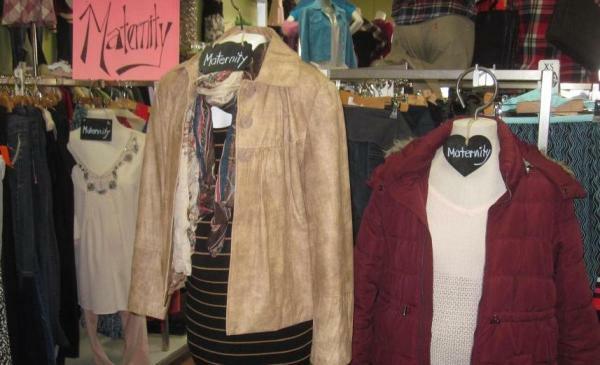 And buying consignment maternity clothing from Smitten Apparel is a great way to save on good quality brands. Smitten Apparel is a place where anyone can come and experience boutique service. We believe that all women are beautiful and deserving of fashion that fits well and matches their own personal style. We are happy to act as personal stylists for customers who are not sure what they want, what size they are, or what looks good on them. Here at Smitten, you will find gently used maternity clothing that is fashion forward - everything we stock was originaly purchased within the last two years. Right now, we have an excellent selection of Fall and Winter in store, on display, and ready to try on. Our eco-friendly substainable fashions will also save you money - the same amount money that you would spend for two pieces at full retail will get you five or six pieces at Smitten! Come in and visit us today - we look forward to seeing you!